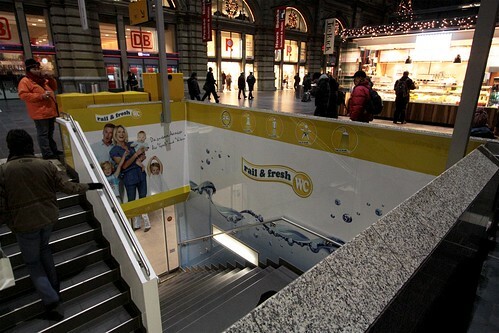 In Germany I found ‘Rail & Fresh’ – a chain of pay toilets that operate at many major railway stations. They charge an €1 admission fee to use the toilet, but give you a €0.50 off voucher to use on your next visit. 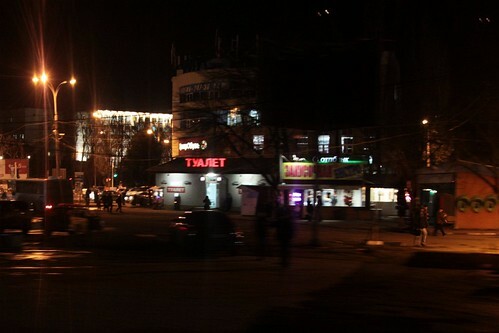 When speeding my way across Russia I saw plenty of signs, but «туалет» was one of the few I could understand. 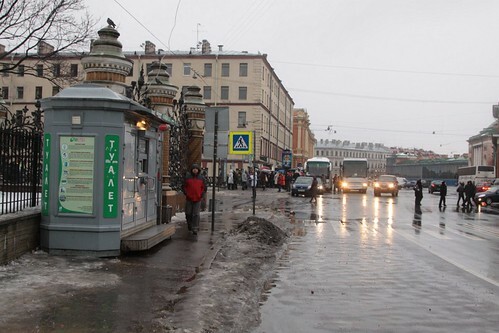 Pay-per-use public toilets were common all across Russia, and usually have an attendant sitting there all day long. There must be a factory somewhere in Russia churning out these prefabricated “dual cubical plus attendant’s booth” toilet blocks. I even found two public toilets competing against each other in a Saint Petersburg park. 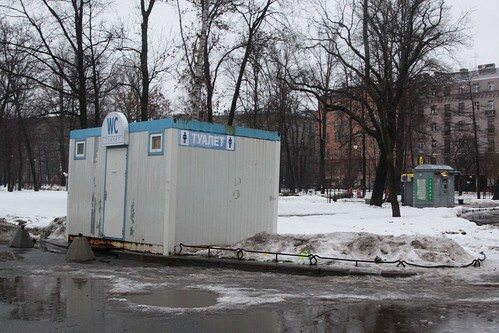 The cleanliness varied – 25 roubles to piss in this portaloo? 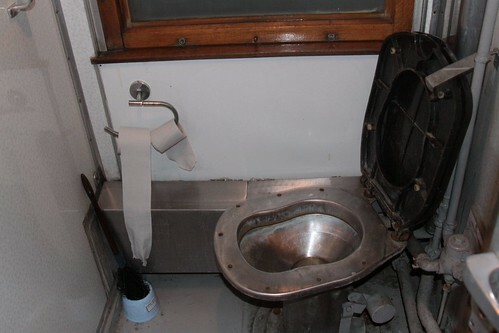 But drop chute toilet onboard the older Russian Railways carriages took the cake. 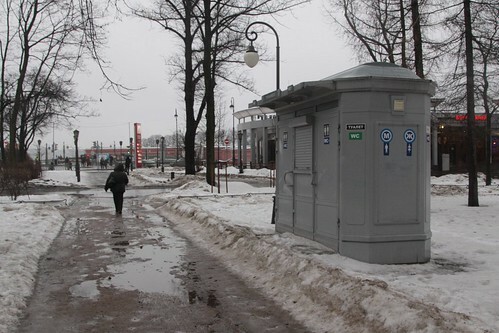 More on public toilets in Moscow at ‘Pop-Up City’ – they theorise that they exist because of the lack of a proper social security system, which makes running a public toilet a viable way to make ends meet. This entry was posted in Everyday life and tagged Germany, railway stations, Russia, sanitation, toilets. Bookmark the permalink.